As with all Baren exchanges there are two constants. 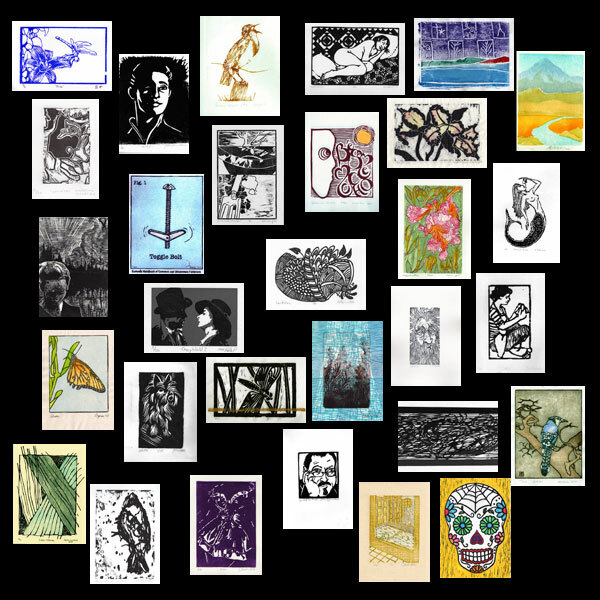 All prints must be hand-pulled relief prints and of a designated paper size. This particular exchange was an unusually small size (5”x7” or 12.5 cm x 17.5cm) which brought forth marvelous jewel-like creations. different techniques and thoughts, spanning across oceans, uniting us in our love of the creation of a relief print. experience of these wonderful prints is a great lesson in humility and an overwhelming desire to master our medium.